While the individual mandate will be going away soon, we are all still required to file those forms this year. To clarify, despite the various changes to the Affordable Care Act (ACA), tax reports due during the 2018 tax season are based on requirements and coverage offers in 2017. Here is your crash course guide to IRS 6055 and 6056. IRS Code Sections 6055 and 6056 in regards to the individual mandate requires employers to provide minimum essential coverage. Applicable Large Employers (ALEs) and Third Party Administrators (TPAs) must report specific information to the IRS such as coverage provided and the provider. Failure to comply with these reporting rules could cost your business. Here is your crash course guide to IRS 6055 and 6056. Section 6055 is used to determine whether individuals are covered by minimum essential coverage. 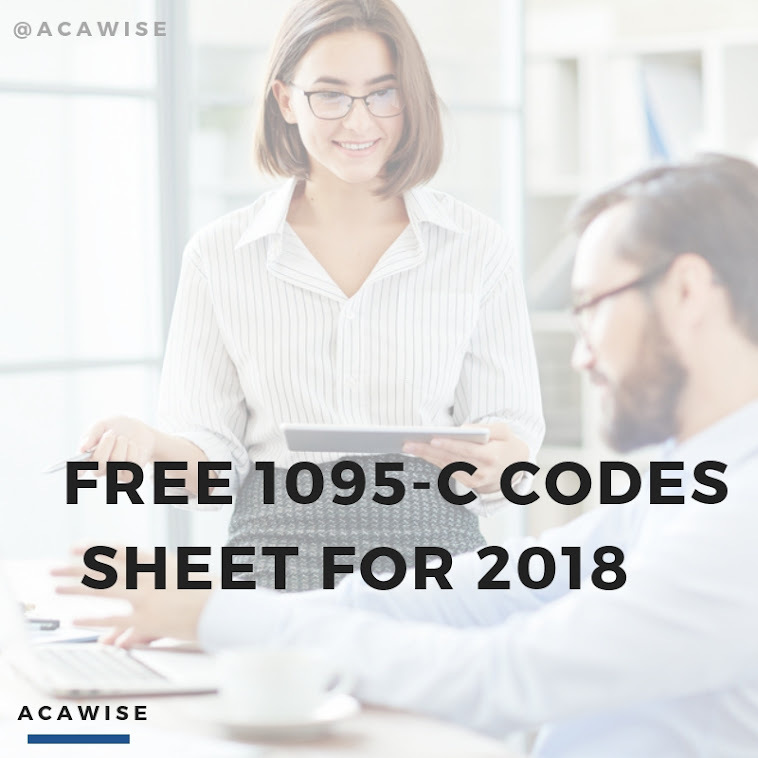 This section calls for the health plan issuer or insurance company to provide Form 1095-B and Form 1094-B to show the individual's coverage levels. This will also prove the if an individual is fully insured through their employer or if they receive coverage through a spouse or parent. Form 1095-B:IRS information return that must be sent to the covered individual and filed with the IRS. Section 6056 applies to Applicable Large Employers (ALEs), which are businesses that employ 50 or more full-time or full-time equivalent employees. According to the ACA all ALEs are required to offer health coverage that meet quality and affordability standards. Forms associated with section 6056 are used by the IRS to verify whether the employer met requirements and if they need to penalties for employees not offered adequate coverage. IRS information return that must be sent to the covered individual and filed with the IRS. IRS transmittal Form to be filed with the IRS along with Form 1095-B. Self-insured employers that are also ALEs can use both sections of Form 1095-C and 1094-C to meet section 6055 and 6056 reporting requirements. The above forms call for information not routinely captured by Human Resource databases such as dependent information details. Section 6056 requires employee details regarding coverage offered and accepted on a monthly basis, affordability test results, costs sharing structure, and reasons why certain employees were not offered coverage. To add to this complexity 6056 reporting requires specific IRS coverage codes. Failing to file a correct information return with the IRS will result in a penalty of $260 per form, not to exceed $3,193,000 in a calendar year. Failing to provide a correct information return (1095 Form) to the individual for whom the form is reporting information can incur a $260 penalty per form, again not to exceed $3,193,000 per the calendar year. You can also incur a $260 per form penalty if you are required to e-file but submit paper forms instead. Warning: If you intentionally fail file these forms, the IRS can pull out the big guns and increase your per-statement and total penalties for your missing returns. If all of these requirements and forms seem overwhelming, use ACAWise as your full-service solution. Simply provide the information you have on your employees’ insurance coverage and our software will take care of the rest. Based on your information we will make sure the right codes are in the place before filing your ACA Forms.